Here's my copy of the book from my personal library. These rules might change your lottery life. A while back I bought a book written about getting good luck. 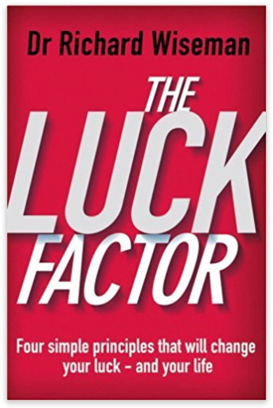 It's called "The Luck Factor" and it's still available on Amazon if you do a search. 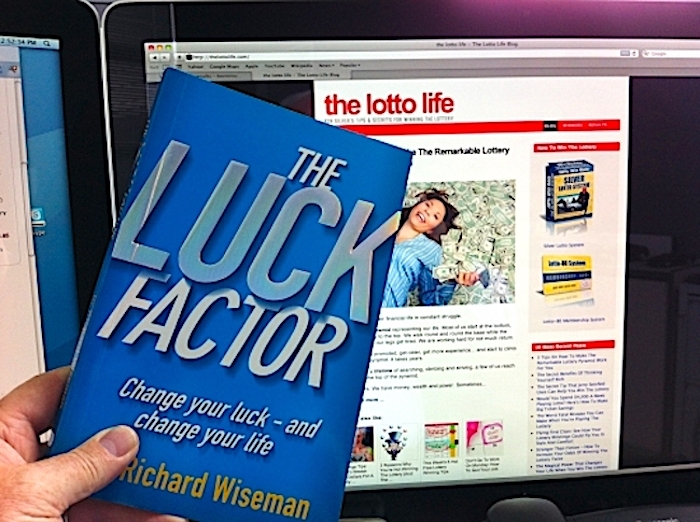 It's written by Dr Richard Wiseman, and it tells you how you can improve your luck by up to 50% and more. Some have even doubled their luck using the simple principles in his book. But knowing how to improve your luck is still worth it, because even while the luck factor for my system is small, it still could mean the difference between winning the Big One... or winning a smaller prize. So, how can you increase your luck to win more? 1) Play more games. Richard Wiseman found that people who did more activity improved their luck dramatically. So make sure you play as many tickets as you can afford. But playing 5 tickets in 20 games a week is not the best way... instead, play 100 tickets in 1 game for the same outgo, and you'll get vastly better results. More is always better. 2) Reduce your losing chances. The Silver Lotto System combined with LottoPredict does that for you by giving you a way to cut out the losing numbers in most lotto games in the world. That's the way my system works. And it doesn't matter whether you play in Britain, Europe, USA, Australia, Asia... it works anywhere for games that have numbers up to 69. 3) Don't worry if you lose. According to the book, lucky people distract themselves after a spell of bad luck by going to the gym, watching a funny film, listening to music, visiting friends. These physical activities speed up the sense of loss and get it out of the way quickly so they can move on. Loss is all part of playing lotto, so you need to stay encouraged and positive all the time through physical actions like these. 4) Ignore superstition. The book showed that lucky people were less superstitious than unlucky people. So if you think you shouldn't buy a lotto ticket because a black cat crossed your path, go ahead and buy one anyway. Cats can't control your luck - only you can. Yet it's amazing how many players select a group of numbers by avoiding 13 or playing a birthday date. None of this has any usefulness except to reduce their chances of winning. 5) Persist, persist! This is my favorite. RFA - Relentless Focused Action! I've always talked about how keeping going is the most important part of using my lotto system. It's the reason I keep writing these daily emails to you, year after year. To remind you that if you want to win lotto with my system, you must never ease up. When the weather stops you getting down to your local store to buy tickets, break through your comfort barrier and do it anyway. When your tickets only bring you a few freebies, remember that next week is a fresh start. If you want to buy the "Luck Factor" book, I'd recommend it. You'll be surprised how luck can be controlled to add real benefits to your life and lotto.